As you probably know our Round Table was one of the first organizations to volunteer for “Brush Cutting” at Gettysburg NMP. We’ve been doing this for well over 20 years. For most of that time we have been a “Fire Brigade” going wherever the need was the greatest. This year will be no exception. 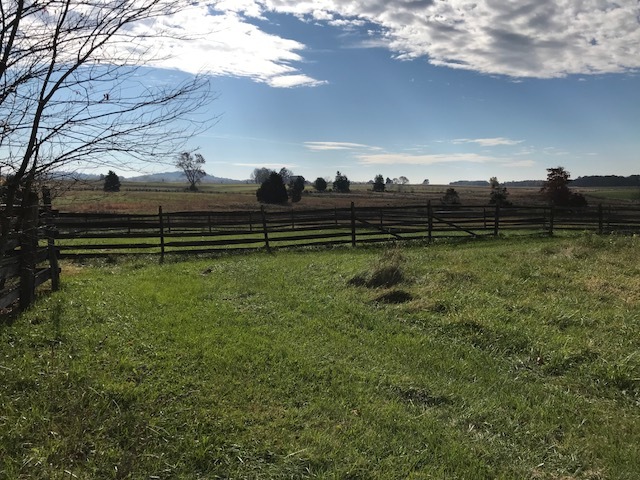 On November 4th Chuck Cannon, Jeff Gates and I met with NPS Site Co-Ordinator Alyce Evans at the Henry Spangler Farm located on the right side Emmititsburg Road as you head south from town. (the entrance is a dirt road which will be marked) The property is about 300 yards west of the road and consists of a house, smoke house and barn. Kemper’s Brigade of Pickett’s Division organized near here for the assault on July 3, 1863. As in previous years we have something for all ages and abilities. There will be brush cutting around fence lines, some fences will need rebuilding and for the artistic there is a picket fence that needs painting. We’ll also need drivers if none of the above fits your job description capabilities. We’ll work from about 9AM until 12:30 or so. Bring your lunch and eat on the job or wait until everything is done and go into town. As a reward for your service one of the NPS staff will give a history of the property and fighting there when we complete our tasks. There will be sign-up sheets starting at the December meeting. We have a wonderful tradition of service at Gettysburg NMP. Be part of our continuing work to maintain and preserve this national treasure.